LONDON, ENGLAND / ACCESSWIRE / August 31, 2017 / Le-Vel, founded in 2012, is a direct selling company offering a health and wellness experience. Thrive is the core product offering of the company. Thrive is a three- step regimen consisting of Thrive capsules, Thrive Lifestyle Mix and Thrive DFT. The Thrive Experience is a premium lifestyle plan to help individuals experience and reach peak physical and mental levels. 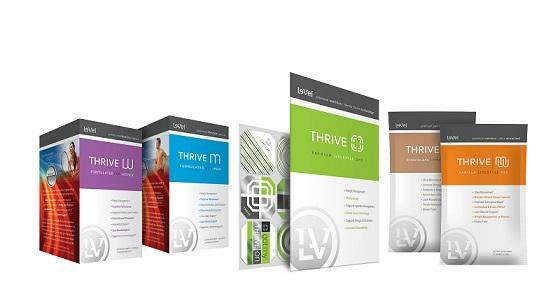 Le-Vel has added many supplementary products that combine with the Thrive experience in the last four years. Customers say the products give them more energy, mental clarity, and improves their overall life. "This product has changed my life. I never dreamed I would be where I am. I am 40-years-old and doing more now than I did when I was 21. People have to experience it. The products helped me find me again and get back to the things I love," says Chastity Morales of Caddo Mills, Texas. Le-Vel currently has over 6.5 million Customers and Brand Promoters and ships to the United States, Canada, Australia, New Zealand, the United Kingdom, and Mexico. Could a three-step regimen really help someone reach peak physical and mental levels? We did some digging to find out. 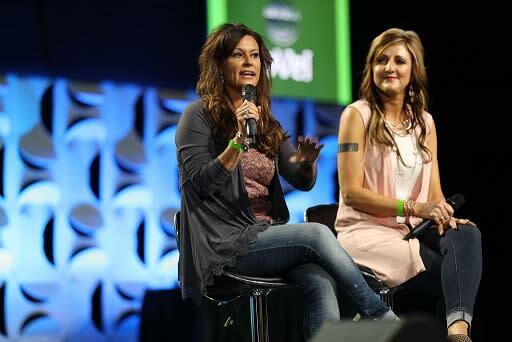 Morales started using the three-step Thrive experience after hearing about it from a high school friend. Working a full-time job, running marathons and being a mother meant Morales had little energy left. After three days of using the three-steps, Morales noticed she had more energy than ever before. The simplicity of the regimen is what most Promoters say they found attractive about the experience initially. You take two capsules first thing in the morning, drink your shake mix 20-40 minutes later and apply your DFT, and you're done for the day. Thrive consists of a premium and proprietary naturopathic and synergistic formula of Vitamins, Minerals, Plant Extracts, Anti-Oxidants, Enzymes, Pro-Biotics, and Amino Acids. Jennifer Ellis of Mansfield, Texas, a Thriver of over three and a half years, says she starts every day with a glass of water and her capsules. She says "within 10 minutes I feel alive." Then she follows it with the Thrive Shake Mix and Thrive DFT. Natasha Roberson of DeWitt Michigan says Thrive Mix "gives you a healthy inside. You have to start with that nutrition and give your body what it needs." Morales describes the three steps by saying "they are my jumper cables." However, not everyone starts out trusting that the product will work. Natasha Roberson of DeWitt, Michigan comes from a background of science and nutrition. She was one of many skeptics at first and says other people noticed her shift in mood and higher energy levels before she started feeling it in her body. "By day 5, I was no longer hitting the snooze button 10-20 times. I was ready to get up. That was an eye opener that this was working. I stopped looking for times to rest or nap. I could push through an entire day without even thinking about it. When I got home, before Thrive, I would just get the kids and rest. After starting Thrive I was taking walks with the kids, making dinner, and was playing with them," says Roberson. Le-Vel Thrive is created to enhance mental and physical health. Drew Hoffman, COO and Chief Legal Officer of Le-Vel, says the proprietary product blends are made up of premium grades of high quality ingredients, leading to greater bioavailability and efficacy. The Thrive product line helps kick start your metabolism with a time released formula of ingredients including Forslean. Products specifically made for men and women are also available to help cater to everyone's bodies. Some of the ingredients include green coffee bean extract, hyrdolized collagen protein, white willow extract, glucosamine, Cosmoperine and CoQ10. Even if someone is already living a healthy lifestyle, the Thrive experience can still help people reach peak physical and mental health. "I was already eating clean and I was very active but my energy levels were low. There was a gap going on. Even on those days where it is a struggle to get out of bed, when I do my three steps I am up and awake. It gets me up every single day, and keeps me consistent no matter what my goals are," says Morales. The company was generating $10 million in revenue within its first year. Now, less than 5 years after its founding, Le-Vel has broken $1 billion in lifetime sales. Unlike many direct selling companies, Le-Vel focuses more on having people experience the product and becoming customers than on pushing them to become Promoters. "From the beginning, our focus has been on helping people live healthier, happier lives. 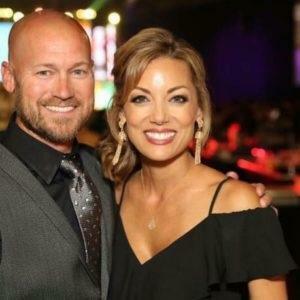 Everyone deserves that," say Jason Camper and Paul Gravette, co-founders and co-CEOs. Le-Vel is different than most direct selling companies since everything is cloud based. Promoters say that, after trying the product, they want their friends and family to experience the benefits as well. In fact, Morales began reaching milestones in the company within 1 week of starting the experience. "You wouldn't hesitate to recommend a good restaurant to someone. Why would you not recommend this experience to someone if you are enjoying its benefits? Everyone should experience Thrive," says Ellis. This September marks the 5th anniversary of this billion-dollar company. CEOs, Camper and Gravette have this to say about the success of the company, "The chatter from the naysayers was everywhere. However, we were never concerned and paid no attention, we just followed our gut and executed our plan." If you have questions about this article please email info@scenicfigure.com. For more information about Le-Vel visit https://le-vel.com/.